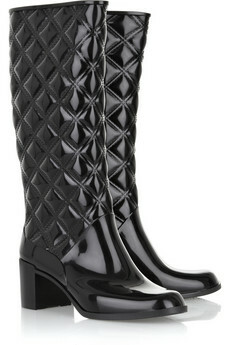 I’ve been browsing Net-A-Porter (this is a bad thing) and I came across these fabulous Marc Jacobs quilted and patent high-heeled wellies. Perfect for Glastonbury this summer, don’t you think! ?